ECS has designed and manufactured a wide range of RF inhibitors (jammers) and is able to offer the latest technology solutions as countermeasures against Remote Controlled Improvised Explosive Devices (RCIEDs). 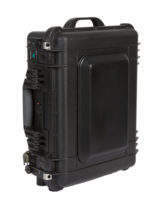 The range includes ultra portable units to cover cell phone networks and full band portable and vehicle–mounted systems. Applications include protection of VIP and military personnel and RCIED operations. 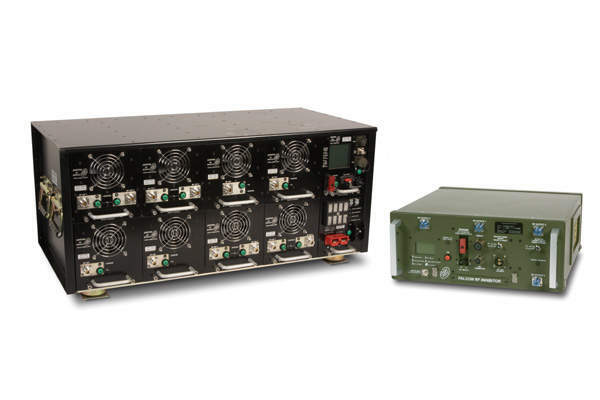 The ‘Griffin’ transmits powerful jamming signals over a wide frequency range, using the latest digital technology that surpasses the performance of analogue systems. The direct digital synthesis (DDS) technique allows for the use of energy efficient counter measures and provides greater range for lower overall output power. 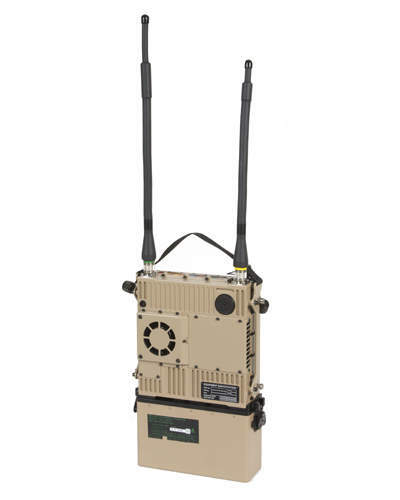 The ‘Griffin’ is effective against most types of radio as well as all cellular telephones and W-LAN (2.4, 5.2 and 5.8GHz). 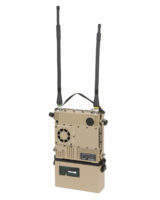 The ‘Griffin’ has been introduced to provide comprehensive wide frequency range jamming, including 3G and wireless LAN as a counter measure to the increased incidents of terrorists using cell phone infrastructure to detonate remote control bombs. FALCON PLUS utilises sophisticated direct digital synthesis (DDS) technology to provide a highly power efficient and effective jamming source. The pre-programmed data fill is developed in conjunction with a bespoke threat analysis that will aim to address the RCIED threat evolution within the chosen theatre of operation. The Kestrel jamming system is fully integrated and includes a battery docking interface compatible with LIPS5 Lithium Ion battery to provide fully autonomous operation in excess of four hours. The ‘Kestrel’ is equipped with an integral GPS antenna that can be removed for vehicle mounting applications. The integral fan provides effective cooling for sustained operations in high temperature operational theatres. All DART Series equipment can be powered from 15 to 30 VDC for continuous field operation and comes with 85-264 VAC charger unit. ECS provides a complete Integrated Logistics Support package that includes first and fourth line test equipment. Each ILS package can be tailored to meet specific customer requirements. In addition, the company can provide up-to-date threat analysis and software defined fill support that is both secure and reliable. A range of training courses are available that include user and maintenance training. Specific training courses such as ‘Train the Trainer’ are also available. Training can be undertaken at Enterprise Control Systems Limited or at the customer’s facilities in the UK or overseas. Enterprise Control Systems Ltd. (ECS), along with partners Tecnam, Selex Galileo, FLIR Systems and Airborne Technologies, has been carefully selected by Indra to ultimately offer a cost effective airborne system for maritime surveillance. Enterprise Control Systems (ECS) has developed and supplied COFDM encrypted links for more than 10 years and now has a customer base which includes police, military and surveillance units across the globe. 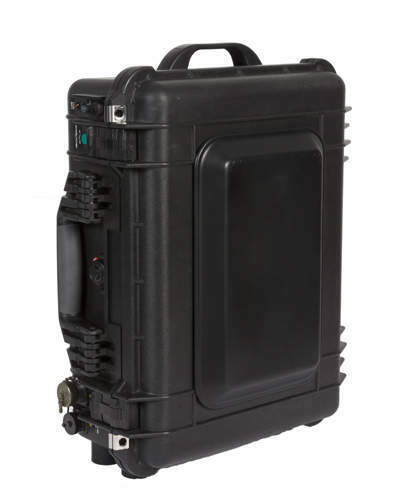 With the continuous development and use of remote controlled improvised explosive devices (RCIED) by terrorists and insurgents worldwide, RF Inhibition is very much in demand by friendly forces, both military and paramilitary. Enterprise Control Systems (ECS) is exhibiting at this year's Security and Policing show as part of Team Falcon on stand E60. On 6 December 2011, 2Excel Aviation invited Enterprise Control Systems (ECS) to participate in their Industry Day. Enterprise Control Systems (ECS) has announced the recent opening of its new, international sales office located in Abu Dhabi which will provide a convenient, local point of contact in the Middle East region. Enterprise Control Systems (ECS) has recently completed a project to launch four new language pages on the company website. Enterprise Control Systems (ECS) will be exhibiting at the Milipol 2011 Exhibition from 18-21 October at the Porte de Versailles Exhibition Centre, Paris. Enterprise Control Systems (ECS) has developed and supplied digital COFDM links for more than ten years and now has a customer base which includes police, military and surveillance units across the globe. Enterprise Control Systems will be exhibiting at the Helitech 2011 Exhibition from 27-29 September 2011, which is to be held at the Imperial War Museum, Duxford, UK.